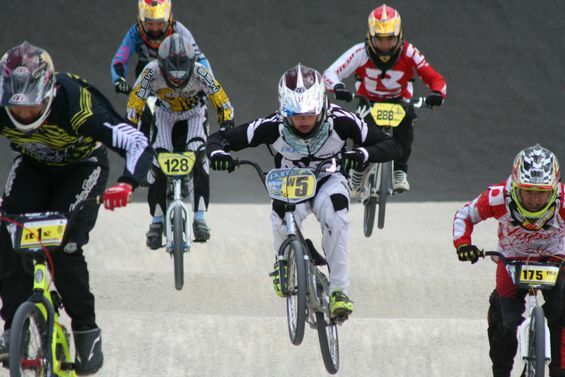 Norwich Flyers BMX Club was formed in 1984 to promote the sport of BMX racing in Norwich and the surrounding areas. Within one year of the club’s birth, we built the only full-sized BMX racing track in Norfolk at Costessey Pitts in Ringland. Over the twenty-year lifespan of this track, hundreds of people were able to enjoy BMX racing in a fun, safe, and friendly environment. In September 2004, we lost the track due to the land being sold from under us. In October 2004, we formed a partnership with Norwich City Council’s Sports Development and Green Spaces Teams in a successful effort to find the club a new home. A year later, in October 2005, the new track, located in Sloughbottom Park, was completed. To upgrade the track, resurfacing and tarmacking work was completed in September 2008. As well as being a free public amenity, the club will be running practise sessions and both local and regional race events. Norwich Flyers BMX Club is open to everybody from 5 years old to the over 50s - everybody can enjoy this exciting sport that is fun for the whole family. Our riders range from complete beginners through to pro-elite riders and even World Championship finalists! We are a non-profit organisation. Any money we raise from events, grants, or sponsorship is invested straight into the upkeep, promotion, and development of the club, its track, and its members. The club is run by a team of volunteers made up of riders, parents, and general enthusiasts. to obtain more details about the history of our BMX club in Norwich, Norfolk.